A long-lasting legal dispute between IT contractor CA Technologies and the federal government reached a conclusion last week, as the Justice Department announced the company agreed to pay $45 million to settle allegations that it overcharged and provided false pricing information to the government. The backstory of this conflict signifies a more aggressive stance taken by the government in dealing with contractors that mislead the government or bilk taxpayers. 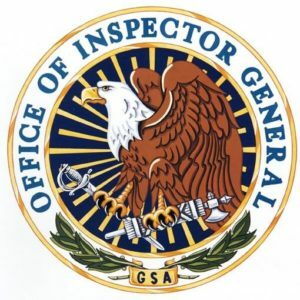 Public statements by both DOJ and the General Services Administration’s inspector general further suggest they are more willing than ever to prosecute contractors that play ball unfairly—even if it takes years to do so, as it did with CA. DOJ contends New York-based CA submitted false pricing data in 2007 and again in 2009 regarding products it sold through the GSA’s Schedule 70, a multiple-awards schedule and large acquisition vehicle federal agencies use to purchase various IT products and services. A Florida-based company known as People, Technology and Processes, LLC (PTP), along with its principals Victor Buonamia and Nicole Buonamia, have paid the government $320,000 to resolve allegations that they submitted improper invoices for work allegedly performed for the United States in support of the U.S. Army in Afghanistan. PTP is an information technology and professional services company. Victor Buonamia is the President and CEO of PTP, and Nicole Buonamia is the CFO. During 2011 and 2012, PTP was a subcontractor to the prime contractor on a government contract awarded by the United States Army Communications-Electronics Command through the Strategic Sources Services (S3) Program. As a subcontractor, PTP submitted invoices for its services to the prime contractor, who then paid those invoices and, in turn, billed those costs to the United States, which paid them. PTP and its principals were aware that PTP was a subcontractor on a government contract and that PTP’s bills would ultimately be presented to and paid by the U.S. government. Between November 2011 and June 2012, PTP submitted invoices that were signed by Victor Buonamia and/or Nicole Buonamia for work allegedly done by PTP employees in Afghanistan under the S3 Contract; however, some of that work was not actually performed. Specifically, during that period, PTP submitted invoices for one employee while he was in another country on R&R for a month, billed for another employee for several weeks after PTP terminated him and flew him back to U.S., and billed one or more weeks for two other employees before they actually started working for PTP. In all, PTP improperly billed $127,990.90 for work never performed by those employees. This settlement resolves allegations in a lawsuit filed by relator Aidan Tamer Toprakci in February 2013. That suit was filed under the whistleblower provisions of the False Claims Act, which authorizes private parties to sue for false claims on behalf of the United States and to share in any recovery. Toprakci was employed by PTP in 2012 and disclosed certain of the conduct internally to PTP. The relator has received $64,000.00 from the proceeds of the settlement. 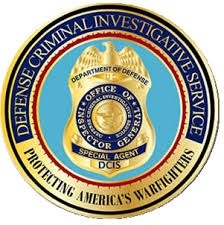 This case was investigated by the Tampa Resident Agency of the Defense Criminal Investigative Service, the U.S. Army Criminal Investigation Commands Major Procurement Fraud Unit, and the Special Inspector General for Afghanistan Reconstruction. The lawsuit was filed in the Middle District of Florida, and is captioned United States ex rel. Toprakci v. People Technology and Processes, LLC, Victor Buonamia, and Nicole Buonamia, Case No. 8:13-cv-432-T-33-MAP (M.D. Fla.). CA, Inc. (CA) has agreed to pay $45 million to resolve allegations under the False Claims Act that it made false statements and claims in the negotiation and administration of a General Services Administration (GSA) contract. CA is an information technology management software and services company headquartered in New York, New York. The settlement resolves allegations related to a GSA contract awarded to CA for software licenses and maintenance services. Under Multiple Award Schedule (MAS) contracts like this one, GSA pre-negotiates prices and contract terms for subsequent orders by federal agencies. At the time of CA’s contract, contractors were required to fully and accurately disclose to GSA how they conducted business in the commercial marketplace so that GSA could use that information to negotiate a fair price for government agencies using the GSA contract to purchase CA products and services. The contract also contained a price reduction clause that set forth when the contractor had to reduce the prices it charged to the government if its prices to commercial customers improved. The settlement between CA and the federal government resolves allegations that CA did not fully and accurately disclose its discounting practices to GSA contracting officers. Specifically, the agreement resolves claims that CA provided false information about the discounts it gave commercial customers for its software licenses and maintenance services at the time the contract was negotiated in 2002 and was extended in 2007 and 2009. Additionally, the settlement resolves claims that CA violated the price reduction clause in the contract by not providing government customers with additional discounts when commercial discounts improved. The allegations against CA were first made in a whistleblower lawsuit filed under the False Claims Act by Dani Shemesh, a former employee of CA Software Israel LTD. Under the False Claims Act, private individuals can sue on behalf of the government and share in any recovery. The False Claims Act also allows the government to intervene and take over the action, as it did, in part, in this case. Shemesh’s share of the settlement is $10.195 million. This case was handled by the Civil Division’s Commercial Litigation Branch, the U.S. Attorney’s Office for the District of Columbia, and the GSA Office of Inspector General. The Department of Justice (DOJ) announced this settlement on Friday (Mar. 10, 2017). The lawsuit is captioned United States ex rel. Shemesh v. CA, Inc., No. 09-1600 (D.D.C.). The claims resolved by the settlement are allegations only; there has been no determination of liability. 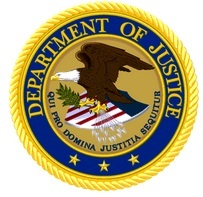 The Department of Justice obtained more than $4.7 billion in settlements and judgments from civil cases involving fraud and false claims against the government in fiscal year 2016 ending Sept. 30, 2016. This is the third highest annual recovery in False Claims Act history, bringing the fiscal year average to nearly $4 billion since fiscal year 2009, and the total recovery during that period to $31.3 billion. Of the $4.7 billion recovered, $2.5 billion came from the health care industry, including drug companies, medical device companies, hospitals, nursing homes, laboratories, and physicians. The $2.5 billion recovered in fiscal year 2016 reflects only federal losses. In many of these cases, the Department was instrumental in recovering additional millions of dollars for state Medicaid programs. This is the seventh consecutive year the Department’s civil health care fraud recoveries have exceeded $2 billion. The False Claims Act is the government’s primary civil remedy to redress false claims for government funds and property under government programs and contracts relating to such varied areas as health care, defense and national security, food safety and inspection, federally insured loans and mortgages, highway funds, small business contracts, agricultural subsidies, disaster assistance, and import tariffs. In 1986, Congress strengthened the Act by amending it to increase incentives for whistleblowers to file lawsuits alleging false claims on behalf of the government. The Department recovered $19.3 billion in health care fraud claims from January 2009 to the end of fiscal year 2016 – 57 percent of the health care fraud dollars recovered in the 30 years since the 1986 amendments to the False Claims Act. These recoveries restore valuable assets to federally funded programs such as Medicare, Medicaid, and TRICARE, the health care program for service members and their families. But just as important, the Department’s vigorous pursuit of health care fraud prevents billions more in losses by deterring others who might otherwise try to cheat the system for their own gain. The Department’s success is a direct result of the high priority the Obama Administration has placed on fighting health care fraud. In 2009, the Attorney General and the Secretary of the Department of Health and Human Services, the Department that administers Medicare and Medicaid, announced the creation of an interagency task force called the Health Care Fraud Prevention and Enforcement Action Team (HEAT), to increase coordination and optimize criminal and civil enforcement. Additional information on the government’s efforts in this area is available at StopMedicareFraud.gov, a webpage jointly established by the Departments of Justice and Health and Human Services. The largest recoveries this past year – $1.2 billion – came from the drug and medical device industry. Drug manufacturers Wyeth and Pfizer Inc. paid $784.6 million to resolve federal and state claims that Wyeth knowingly reported false and fraudulent prices on two drugs used to treat acid reflux, Protonix Oral and Protonix IV. The government alleged that Wyeth (before it was acquired by Pfizer) failed to report deep discounts available to hospitals, as required by the government to ensure that the Medicaid program enjoyed the same pricing benefits available to the company’s commercial customers. Wyeth paid $413.2 million to the federal government and $371.4 million to state Medicaid programs. In another settlement against a drug company, Novartis Pharmaceuticals Corp. paid $390 million based on claims that the company gave kickbacks to specialty pharmacies in return for recommending Exjade, an iron chelation drug, and Myfortic, an anti-rejection drug for kidney transplant recipients. The settlement includes $306.9 million for the federal government and $83.1 million for state Medicaid programs. Hospitals and outpatient clinics accounted for $360 million in recoveries. Tenet Healthcare Corp., a major hospital chain in the United States, paid $244.2 million to resolve civil allegations that four of its hospitals engaged in a scheme to defraud the United States by paying kickbacks in return for patient referrals. Tenet paid an additional $123.7 million to state Medicaid programs, and two of its subsidiaries pleaded guilty to related charges and forfeited $145 million, bringing the total resolution to $513 million. In the medical lab arena, Millennium Health (formerly Millennium Laboratories) paid $260 million to settle allegations that it billed Medicare, Medicaid, and other federal health care programs for excessive and unnecessary urine drug and genetic testing and also that it gave free items to induce physicians to refer expensive and profitable lab tests to Millennium, in violation of the Anti-Kickback Statute and Stark Law. The settlement included $214.8 million in alleged false claims against federal programs, $26 million in alleged false claims against state Medicaid programs, and $19.2 million in related administrative claims. The nation’s largest contract therapy provider paid $125 million to resolve claims that it had induced skilled nursing homes to submit false claims to Medicare for rehabilitation services that were not reasonable, necessary, and skilled, or that weren’t provided at all. The settlement was with RehabCare Group Inc., RehabCare Group East Inc., and their parent, Kindred Healthcare Inc. Cases involving nursing homes and skilled nursing facilities accounted for more than $160 million in settlements and judgments this past fiscal year. The Department recovered more than $7 billion in housing and mortgage claims from January 2009 to the end of fiscal year 2016, including settlements and judgments totaling $1.6 billion this past fiscal year – the second highest annual recovery in the history of the federally insured mortgage program. Notable this year were settlements with Wells Fargo for $1.2 billion and Freedom Mortgage Corp. for $113 million. As part of the Wells Fargo settlement, the bank’s vice president of Credit Risk – Quality Assurance, Kurt Lofrano, admitted that he annually certified Wells Fargo’s compliance with FHA’s Direct Endorsement Lender program and the bank’s continued qualification to remain in the program. These recoveries are part of the broader enforcement efforts by President Obama’s Financial Fraud Enforcement Task Force. President Obama established the interagency task force in 2009, to wage an aggressive, coordinated, and proactive effort to investigate and prosecute financial crimes. The task force includes representatives from a broad range of federal agencies, regulatory authorities, inspectors general, and state and local law enforcement who, working together, bring to bear a powerful array of criminal and civil enforcement resources. The task force is working to improve efforts across the federal executive branch, and with state and local partners, to investigate and prosecute significant financial crimes, ensure just and effective punishment for those who perpetrate financial crimes, combat discrimination in the lending and financial markets, and recover proceeds for victims of financial crimes. For more information about the task force, visit www.stopfraud.gov. Although health care and mortgage fraud dominated fiscal year 2016 recoveries, the Department has aggressively pursued fraud wherever it is found in federal programs and contracts. For example, the Department recovered $82.6 million in false claims from BP Exploration and Production Inc. (BP) arising from the April 2010 Deepwater Horizon/Macondo Well explosion and oil spill in the Gulf of Mexico. The government, through the Department of the Interior, leases portions of the Outer Continental Shelf to companies like BP that operate exploratory oil wells. In exchange for the lease, the operators pay royalties based on the volume of oil extracted from the wells. Program regulations applicable to exploration of the Outer Continental Shelf require well operators to maintain a “safe drilling margin” and to report plans to drill further into an open hole if the margin falls below legal limits. The government alleged that BP provided false reports about its “safe drilling margin” that concealed its improper drilling, which left the well in a fragile state and ultimately resulted in the blowout. The government’s civil fraud claims were part of a $20 billion consent decree reached with the United States and five Gulf states that also included damages and penalties under state and federal environmental laws, mandatory restoration of the area, and other relief. The government also continued to pursue a variety of procurement fraud matters. For example, L-3 Communications EOTech Inc. and its parent company, L-3 Communications Corp., paid the United States $25.6 million for defective holographic weapon sites EOTech sold to the Department of Defense, Department of Homeland Security, and FBI. The defendants, including EOTech’s president, admitted knowing the sights failed to perform as represented in cold temperatures and humid environments, but delayed disclosing the defects to federal authorities for years. Besides compensating the government for critical funds lost through fraud, such settlements ensure that the vital terms of contracts supporting the nation’s defense and security agencies are enforced, and deter other contractors from acting fraudulently or recklessly to increase their profits in the future. The Department had several settlements with for-profit schools that allegedly participated in illegal schemes to secure federal education funds. For example, the second largest for-profit education company in the country, Education Management Corp., paid the United States $52.6 million to resolve allegations that it unlawfully recruited students, engaged in deceptive and misleading recruiting practices, and falsely certified compliance with Title IV of the Higher Education Act and parallel state laws that prohibited such conduct, as part of a $95.5 million global federal-state settlement. The Department also recovered $50 million in customs fraud. U.S. Customs and Border Protection collects duties on imports of foreign goods to protect U.S. manufacturers from unfair competition abroad by leveling the playing field for domestic products. Importers who seek an unfair advantage by knowingly evading or reducing their obligation to pay these duties are subject to damages and penalties under the False Claims Act. These recoveries both address lost duties and safeguard U.S. markets. These suits and settlements illustrate the diversity of cases pursued by the Department and the Department’s quest to root out fraud and false claims against the government wherever it may be found. On Sept. 9, 2015, the Department issued a memorandum on individual accountability for corporate wrongdoing. This memorandum reinforced the Department’s commitment to use the False Claims Act and other civil remedies to deter and redress fraud by individuals as well as corporations. Cardiologist Dr. Asad Qamar and his practice, the Institute of Cardiovascular Excellence (ICE), paid $2 million this past fiscal year, and released claims to an additional $5.3 million in suspended Medicare funds, to settle allegations that he and his practice billed Medicare, Medicaid, and TRICARE for medically unnecessary procedures and paid kickbacks to patients by waiving Medicare copayments irrespective of financial hardship. Medicare copayments provide beneficiaries with an incentive to be smart health care consumers and avoid unnecessary procedures. The government alleged that by waiving the required copayments indiscriminately, Dr. Qamar and ICE induced patients to undergo unnecessary and invasive procedures. This conduct made Dr. Qamar the highest paid Medicare cardiologist in the United States in 2012 and 2013. Dr. Qamar also agreed to a three-year exclusion from participating in any federal health care program followed by a three-year integrity agreement with the Department of Health and Human Services Office of the Inspector General. Additional examples of individuals held personally liable for alleged false claims include George Hepburn ($10.3 million), founder and president of Dynasplint Systems Inc.; Dr. Jonathan Oppenheimer ($9.35 million), former owner and chief executive officer of a Nashville drug testing laboratory; Gottfried and Mieke Kellermann ($8.5 million), founders of Pharmasan Labs Inc. and NeuroScience Inc.; Jacob (Jake) J. Kilgore ($4 million), former co-owner, vice president, and later president of Orbit Medical Inc.; Dr. David G. Bostwick ($3.75 million), founder and former owner and chief executive officer of Bostwick Laboratories Inc.; Mark T. Conklin ($1.75 million), former owner, operator, and sole shareholder of Recovery Home Care Inc. and Recovery Home Care Services Inc.; Dr. David Spellberg ($1.05 million) and Robert A. Scappa, D.O. ($250,000), urologists with 21st Century Oncology LLC; and Ralph J. Cox III ($1 million), former chief executive officer of Tuomey Healthcare System. Of the $4.7 billion the government recovered in fiscal year 2016, $2.9 billion related to lawsuits filed under the qui tam provisions of the False Claims Act. During the same period, the government paid out $519 million to the individuals who exposed fraud and false claims by filing a qui tam complaint. The number of lawsuits filed under the qui tam provisions of the Act has grown significantly since 1986, with 702 qui tam suits filed this past year – an average of 13.5 new cases every week. The growing number of qui tam lawsuits, particularly since 2009, has led to increased recoveries. From January 2009 to the end of fiscal year 2016, the government recovered nearly $24 billion in settlements and judgments related to qui tam suits and paid more than $4 billion in whistleblower awards during the same period. In 1986, Senator Charles Grassley and Representative Howard Berman led the successful efforts in Congress to amend the False Claims Act to, among other things, encourage whistleblowers to come forward with allegations of fraud. In 2009, Senator Patrick J. Leahy, along with Senator Grassley and Representative Berman, championed the Fraud Enforcement and Recovery Act of 2009, which made additional improvements to the False Claims Act and its whistleblower provisions. And in 2010, the passage of the Affordable Care Act provided additional inducements and protections for whistleblowers. Mizer also expressed his deep appreciation for the many dedicated public servants who investigated and pursued these cases – the attorneys, investigators, auditors, and other agency personnel throughout the Department’s Civil Division and the U.S. Attorneys’ Offices, as well as the agency Offices of Inspector General, and the many federal and state agencies that contributed to the Department’s recoveries this past fiscal year.